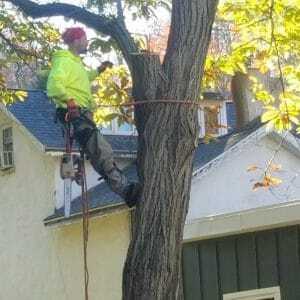 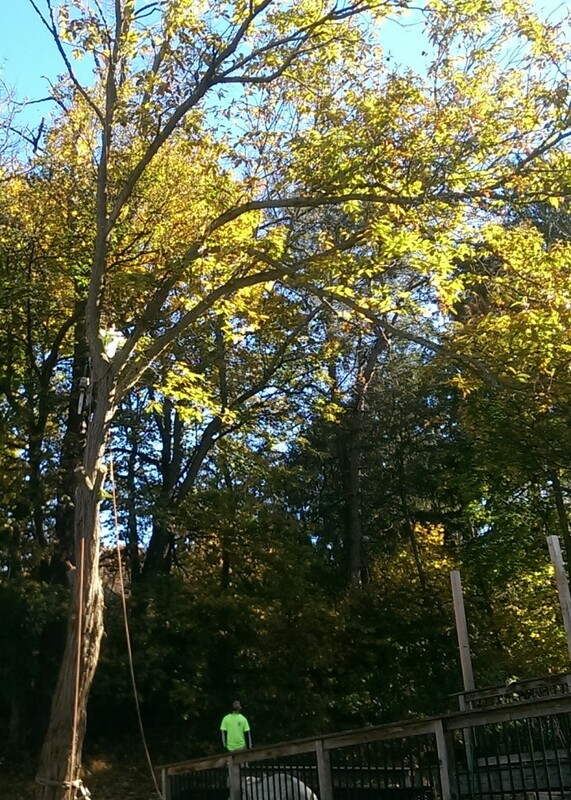 At Mr. Tree, we have the experience needed to handle a variety of tree-related services. 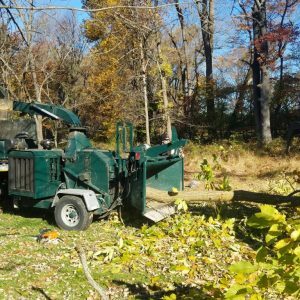 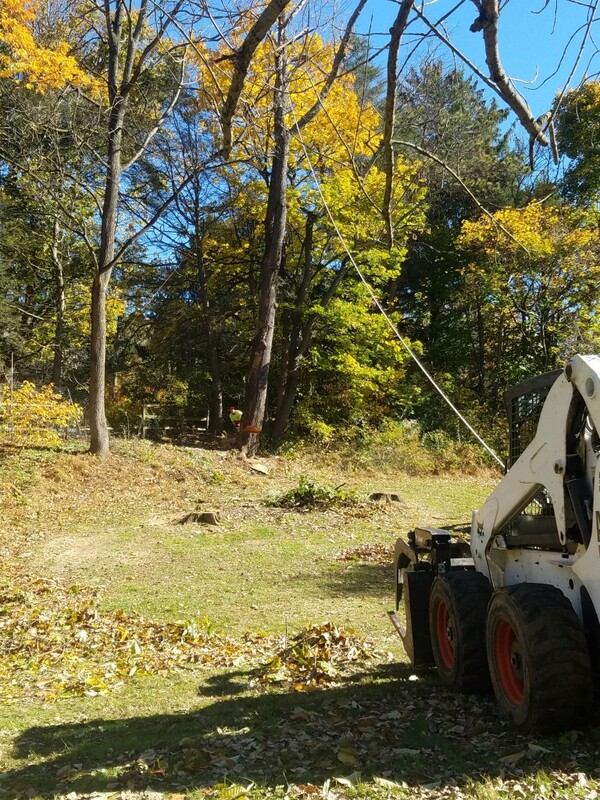 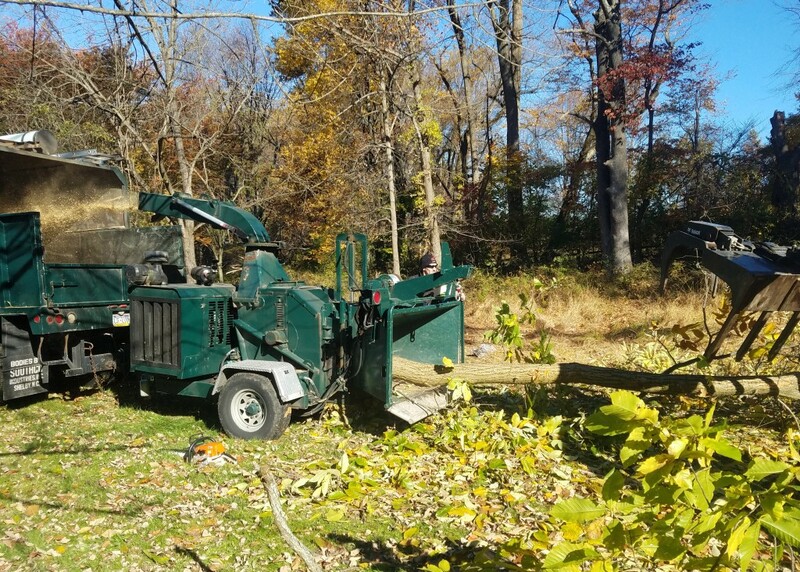 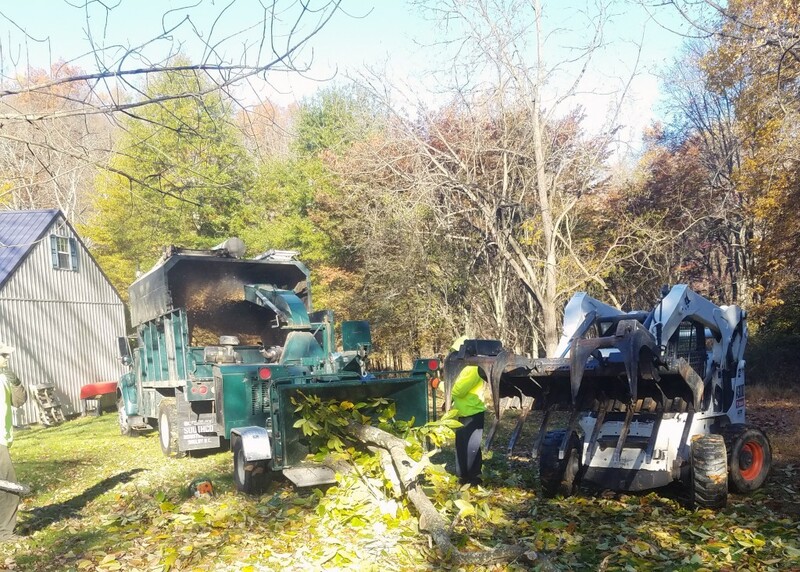 We take care of anything from tree removal and pruning to lot clearing. 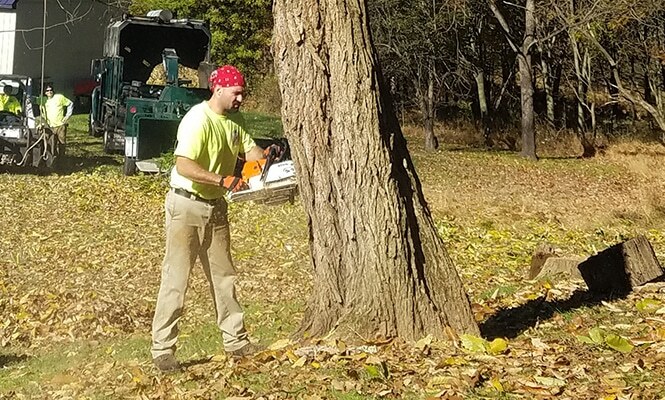 Our team is trained and experienced in handling a variety of jobs and situations. 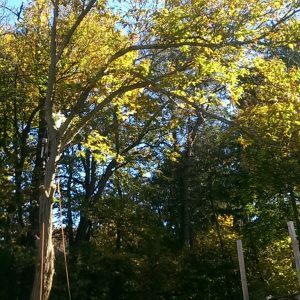 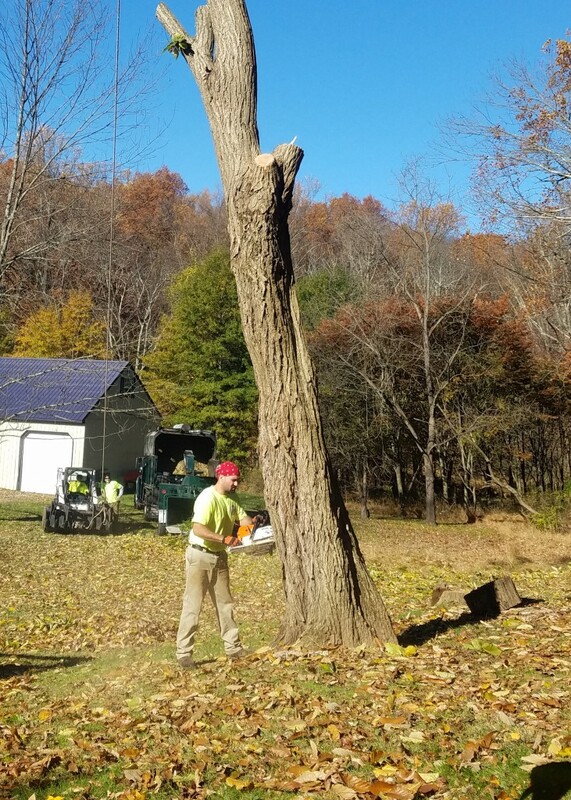 During a recent job in Thornton, PA, we removed two chestnut trees and a dead cherry tree for a homeowner. 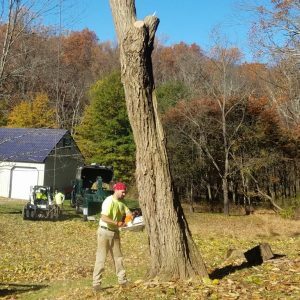 Check out the photos below for a close look at our work. 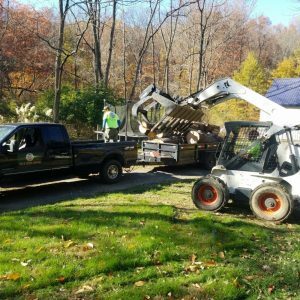 The videos below give you an inside look at the jobs we completed that day. 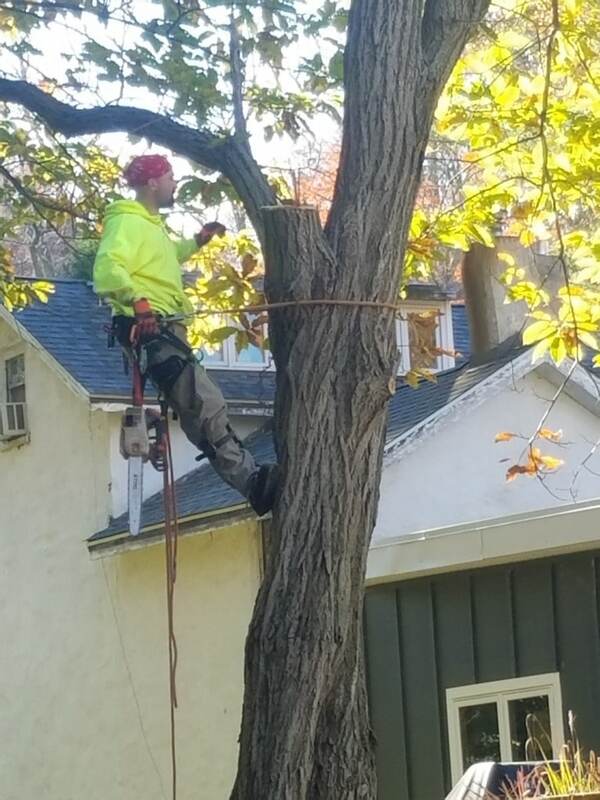 Since one of the trees was leaning toward the customer’s deck, we rigged the tree with a guy rope and a bull rope to steer the tree into a safe area as it fell. 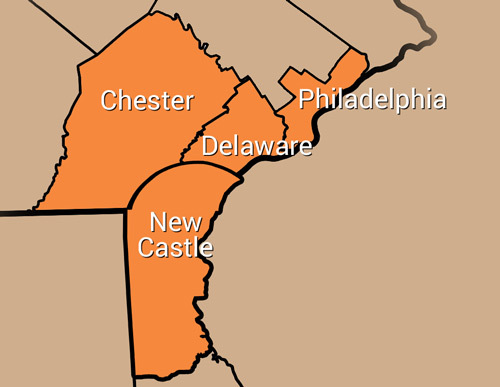 We serve all of Delaware County, including Glen Mills. 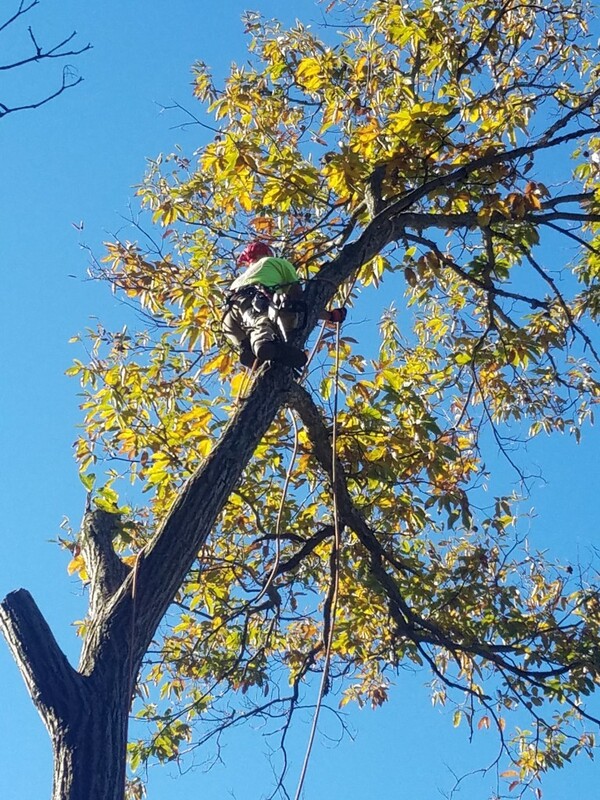 If you have a tree that needs to be removed, pruned, or trimmed, call Mr. Tree at (484) 999-0040. 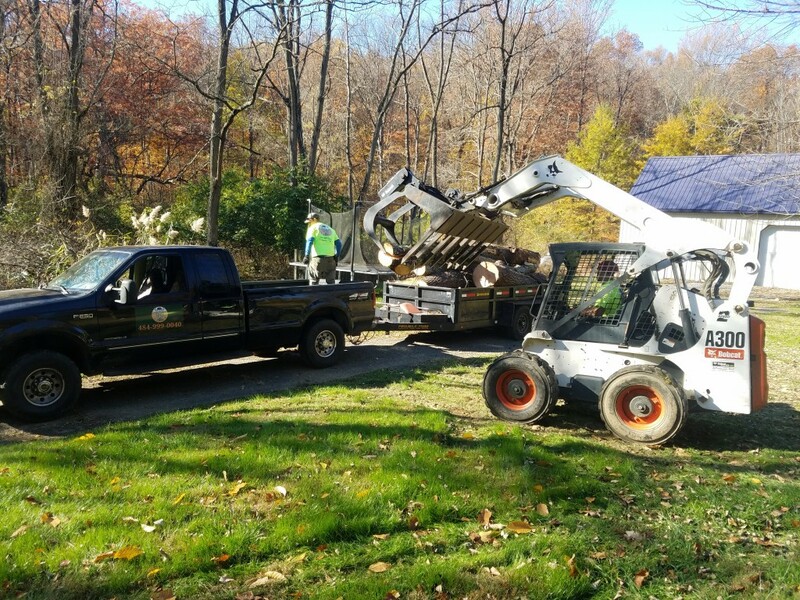 You can also contact us online for a free estimate. 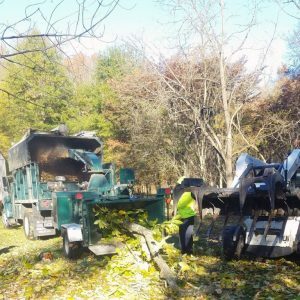 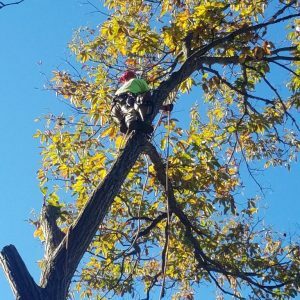 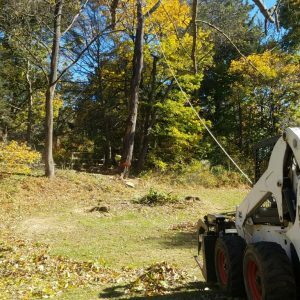 In addition to tree trimming and pruning, we provide services like lot clearing and 24/7 emergency clean-up.